ASFC supplies premium protein products. Australian Sustainable Food Company specialises in supplying high quality, clean and sustainably produced protein products to Australian and international markets. Because our company adheres to a philosophy that engages ‘paddock to plate’ supply chain management, it means our business manages and controls the products we sell from the farm gate right the way through to our customers. 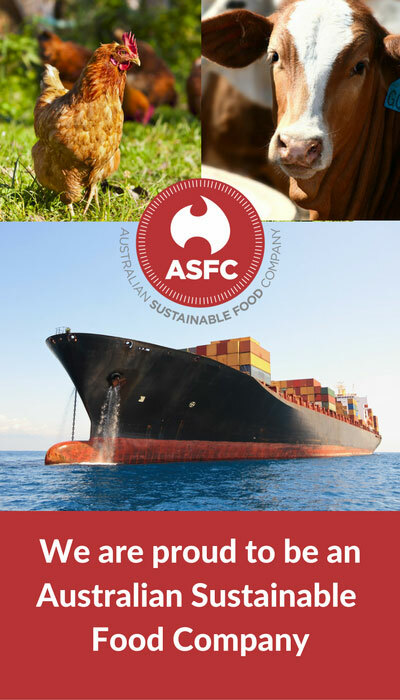 This means Australian Sustainable Food Company (ASFC) can ensure the superior quality, traceability and credibility of the fresh meat we sell, maximise the margins for our farmers and keep prices low for our customers.